The Ant Menaces are a race of creatures that live underground and are normally up to no good. 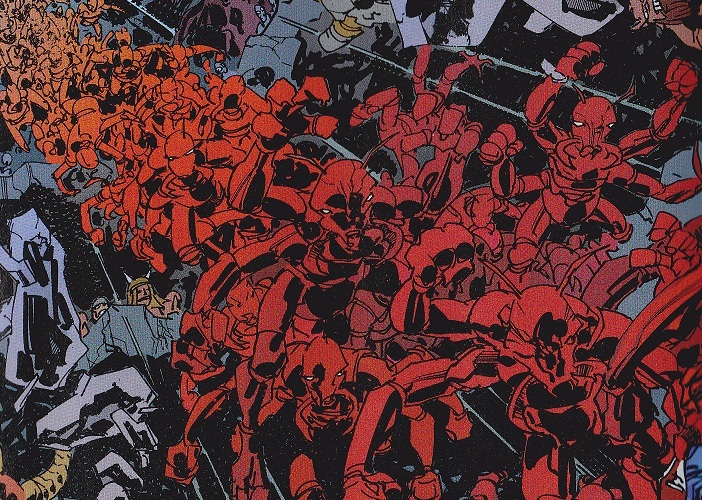 Malcolm encounters an army of them when he is pulled into the underground during the underground battle. They later attack the surface once again, but are defeated by Malcolm and Ant after Malcolm kills one of their higher order Ants.